The United States has escalated international tensions with Iran, threatening unilateral action against the Islamic Republic on Monday after Russia vetoed a United Nations Security Council motion to call out Tehran for allowing weapons to fall into the hands of Yemen's Houthi group. “If Russia is going to continue to cover for Iran then the U.S. and our partners need to take action on our own. If we’re not going to get action on the council then we have to take our own actions,” said U.S. Ambassador Nikki Haley during a visit to the Honduran capital of Tegucigalpa. Haley did not specify what type of action she meant, however the Russian veto was a big blow to the United States which has been lobbying for months to hold Iran accountable at the U.N. - while also threatening to withhold waivers on U.S. sanctions unless the "terrible flaws of the Iran nuclear deal" are fixed. President Trump warned European allies in January that they would need to commit to fixing the nuclear deal by May 12. President Donald Trump warned European allies last month that they had to commit by mid-May to work with Washington to improve the pact. Britain drafted the failed U.N. resolution in consultation with the United States and France. Russia has questioned the findings of January U.N. report which concluded that Iran supplied the Houthi group with weapons in a proxy war between the Saudi-backed Yemeni government forces and Iranian-allied Houthi rebels in what appears to be another attempted regime change in the region. 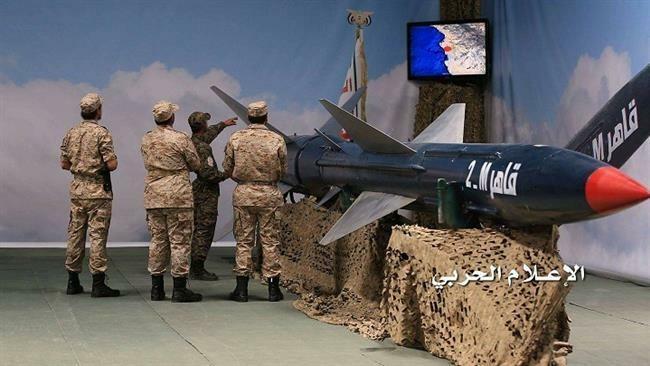 In mid-January, Yemeni Houthi rebels claimed to have struck targets inside Saudi Arabia after launching two ballistic missiles, according to Houthi military media. Some pro-Houthi sources also reported the destruction of a Saudi military base in Najran, which lies in southwest Saudi Arabia near the border with Yemen. Meanwhile, Saudi Arabia disputed that the missiles hit their targets, with Saudi state TV Ekhbariya reporting that Saudi missile defense has intercepted one near Jizan Regional Airport, a busy transport hub in southern Saudi Arabia, though it is unclear what happened to the reported second missile. Following Monday's Security Council vote, Iran's mission to the U.N. accused the United States and Britain of abusing council privileges to "advance their political agenda and put the blame of all that happens in Yemen on Iran." Iran, meanwhile, has grown frustrated with what they're getting out of the nuclear deal - with deputy foreign minister Abbas Araghchi telling a London audience last Thursday that they would likely pull out of the nuclear deal before the May 12 deadline if western banks don't start doing business with them. You know, every time President Trump makes a public statement against JCPOA saying it's a bad deal, it's the worst deal ever, I am going to fix it, I am going to change it, all these statements, public statements are a violation of the deal. Violation of the letter of the deal, not a sprit, the letter. If you just see paragraph 28 it clearly says that all JCPOA participants should refrain from anything which undermines successful implementation of JCPOA, including in their public statements of silly officials. "If the same policy of confusion and uncertainties about the (deal) continues, if companies and banks are not working with Iran, we cannot remain in a deal that has no benefit for us," Araqchi told an audience at the London-based think tank Chatham House. "That’s a fact."